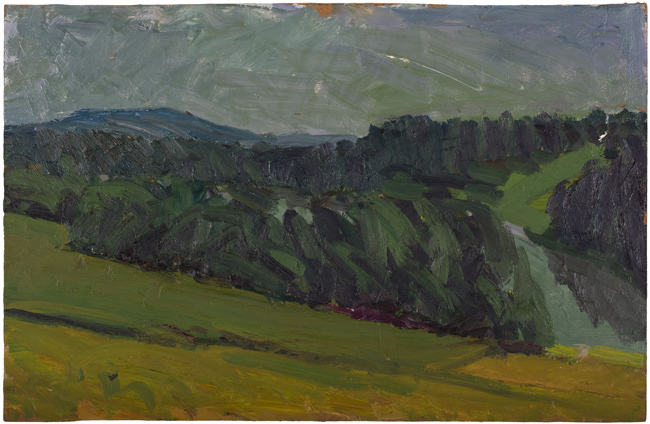 Painted in nature, somewhere near Härnösand, in 1983 or 1984. Oil on masonite, 39x61 cm. Other 1983/84 landscape.